The Club is family-friendly, has four indoor tennis courts, a viewing area, a cabana and a large outdoor swimming pool that operates in the summer months. 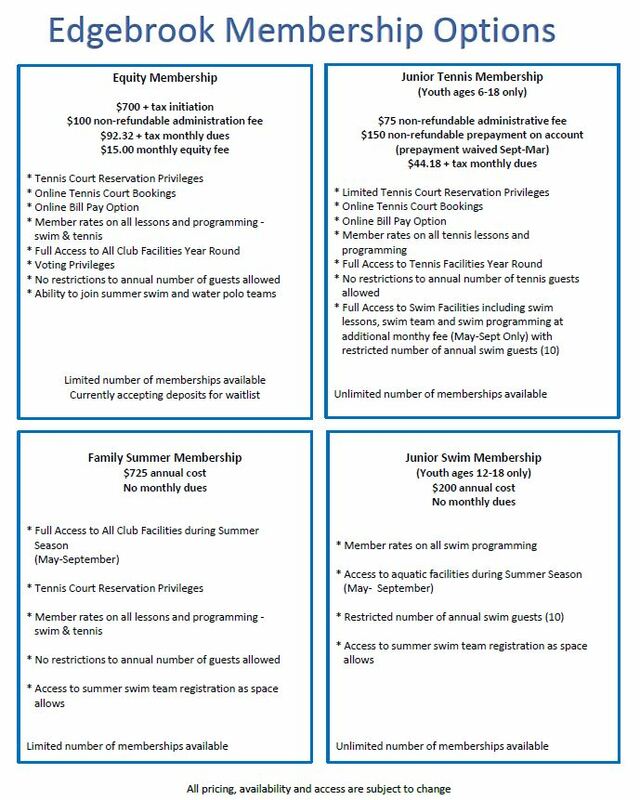 Members enjoy many opportunities to play tennis, including league play, club play, and private instruction. The swim programs include swim team, swim lessons and water polo. The Club's shared values include integrity, exceptional customer service, respect, diversity and good sportsmanship and fun.